These days, every reasonably big movie release is scheduled against whatever the superheroes are doing. The DC and Marvel movies eat up so much attention that it’s crazy for anything targeted at a similar audience to open in theaters on or around the same day, and yet movie studios still do it. 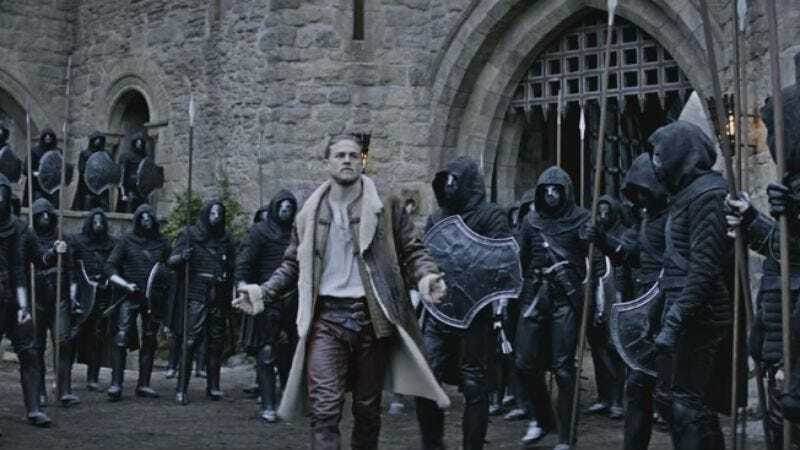 The latest unfortunate soul that’s going to fall victim to poorly planned scheduling like that is Guy Ritchie’s King Arthur: Legend Of The Sword, which Warner Bros. has moved from its original March 24 release date to May 12—the week after Guardians Of The Galaxy Vol. 2 hits theaters. That was pointed out by Cinema Blend, which also notes that the new King Arthur release date is just a few weeks before Warner Bros.’ own Wonder Woman movie. Both that and Guardians Of The Galaxy Vol. 2 will almost certainly be pretty huge hits, meaning King Arthur is now basically stuck between a Rocket Raccoon and a hard place. Granted, Guy Ritchie’s movie isn’t necessarily guaranteed to be a big flop, but it is certainly going to have some tough competition if the buzz on Guardians is anything like it was last time around. The Hollywood Reporter says that King Arthur’s old premiere date has now been taken up by Dax Shepard’s CHiPS movie, which was originally set to be released on August 11. Also, the old CHiPS premiere date has been claimed by Annabelle 2.